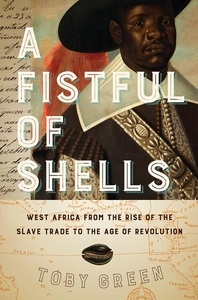 By the time the "Scramble for Africa" among European colonial powers began in the late nineteenth century, Africa had already been globally connected for centuries. Its gold had fueled the economies of Europe and the Islamic world for nearly a millennium, and the sophisticated kingdoms spanning its west coast had traded with Europeans since the fifteenth century. Until at least 1650, this was a trade of equals, using a variety of currencies--most importantly, cowrie shells imported from the Maldives and nzimbu shells imported from Brazil. But, as the slave trade grew, African kingdoms began to lose prominence in the growing global economy. We have been living with the effects of this shift ever since.